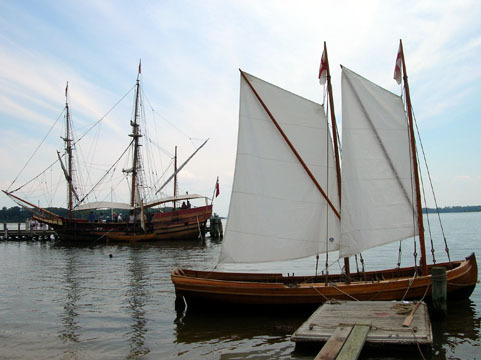 It's a two-hour-plus drive from where we live to Historic St. Mary's City, the original capital of Maryland (before Annapolis), which has an annual maritime heritage festival. This means that in addition to getting to see the Maryland Dove -- a square-rigged ship replica of the original Dove, which along with the Ark crossed the Atlantic to land Lord Baltimore's colony and establish the trade for which Maryland became known (unfortunately, tobacco) as well as the first Catholic church in the English colonies and the first printing press in the region -- there are a number of other ships for the festival. 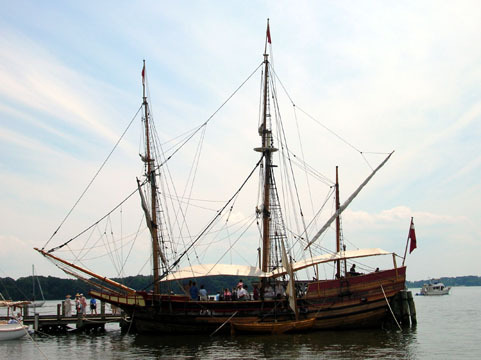 We saw a Chesapeake Bay skipjack, the 17th century replica jolly boat Parrot and the 16th century long boat Silver Chalice. 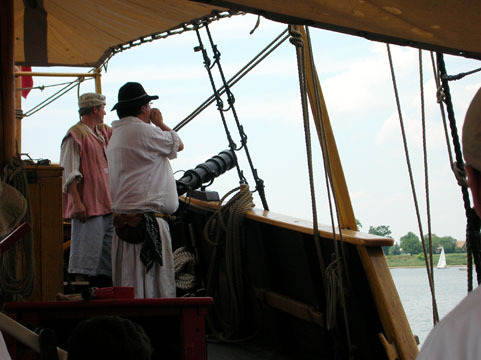 The Chanteymen of Ship's Company were also performing, along with Charlie Zahm, and they gave a hands-on-audience demonstration of capstan and line songs as well as encouraging the men to get up and dance together as if they were on deck. 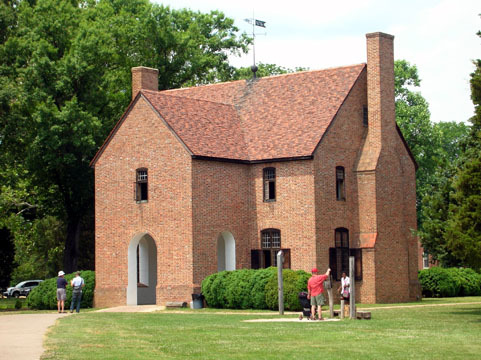 St. Mary's is in the process of restoring the buildings that originally comprised the town: the Woodland Indian village (abandoned by the time the city was built) has two intact homes and the tobacco plantation has a working farm as well as the complete house and barn, but the church and most of the settlers' houses are only wooden outlines or partially built while excavation continues to find artifacts no one wants to bury under reconstructions. 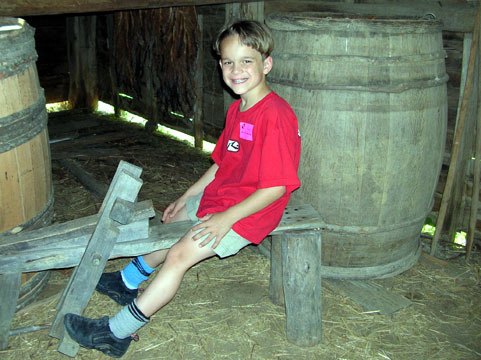 The state house has been rebuilt and Farthing's Ordinary, an inn which is now a shop, while the print house is being worked on now and the printing press is set up in the visitor's center. 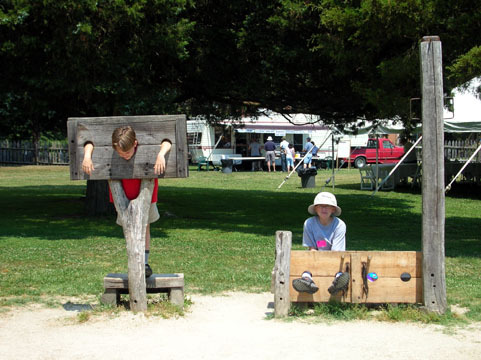 They had a craft tent for kids today where they could make pirate flags and clay sea monsters (because what nautical festival is complete without pirates and sea monsters), and a camp of pre-Revolution militia reenactors. The Silver Chalice with the Maryland Dove behind her. 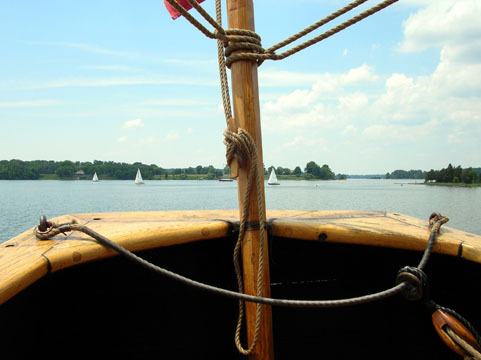 The view of the river from the stern of the Maryland Dove. ...because when the crew was ready to demonstrate the firing of the signal cannon, he was in the way, insisting that they couldn't possibly hit him at that distance! 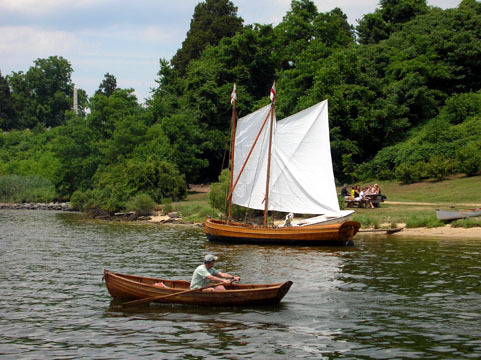 Rowing by the Silver Chalice and a team of admirers. Ship's Company and some of the reenactors demonstrating which beats to heave and which beats to rest during a chantey. 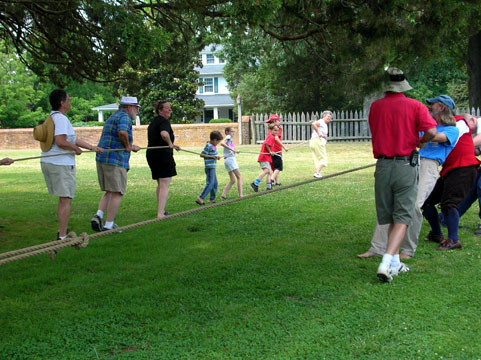 Adam joined them on the ropes. 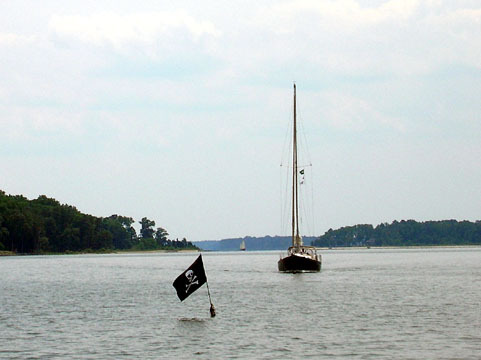 Like I asked before, what's a maritime festival without pirates? 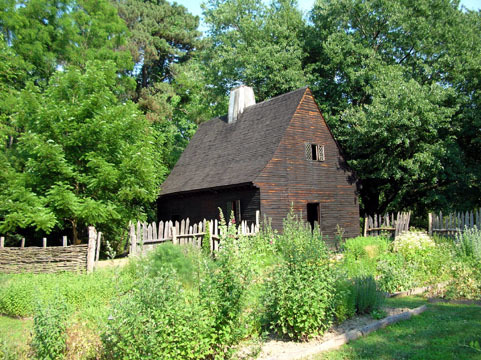 This was the first capital of Maryland, before Annapolis was built, where the first African-American served in a US assembly. It was reconstructed in 1934. 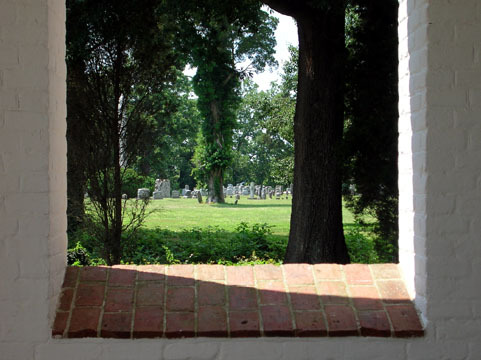 The historic graveyard beyond the state house, seen from one of its windows. 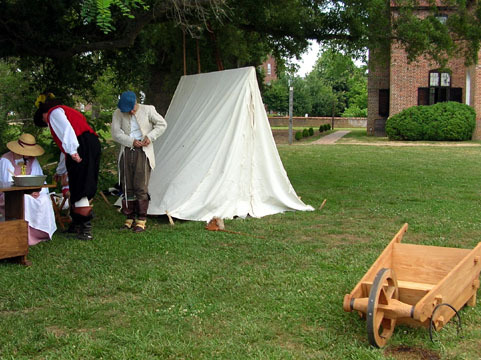 The volunteer militia between musters. They discussed tactics and fired those rifles. 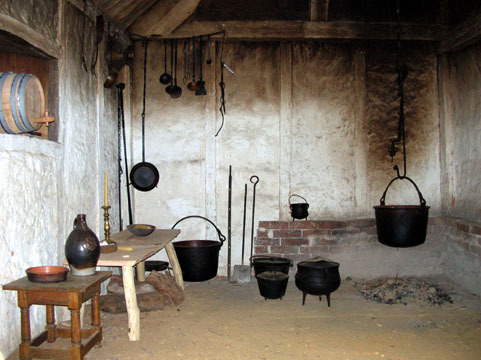 The kitchen at Smith's Ordinary, which could sleep eight upstairs and another eight downstairs with the tables pushed into the corners and bedrolls spread on the floor. This was high-class accomodation -- look at the real glass in the window. 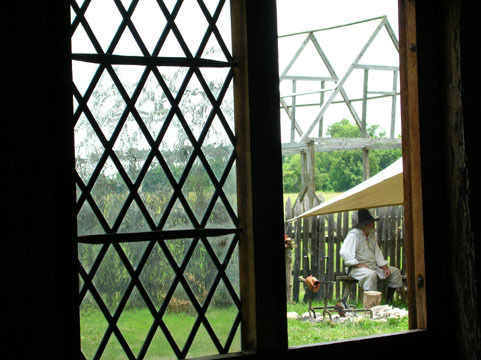 Outside of Smith's Ordinary, one of the reenactors roasts a chicken on a spit. Behind him is the frame of the original printer's shop which will be rebuilt on the site after excavation is completed; they're still finding letters and numbers. 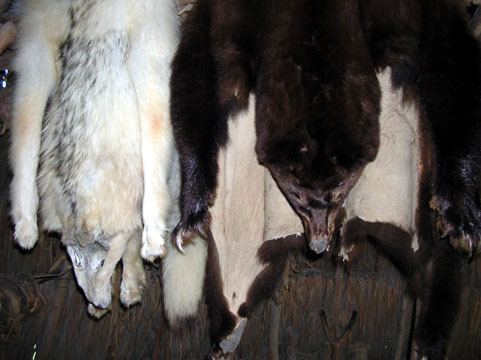 Wolf and bear skins hanging in one of the Woodland Indian homes. Farmhouse and yard at the Godiah Spray Tobacco Plantation in Historic St. Mary's City. I am no fan of the stuff but it was a huge crop for the state of Maryland -- there's even a town between here and St. Mary's named Upper Marlboro. The plants get very spoiled -- spaced several feet apart from one another with grasses in between, and checked every day for worms. Here is the barn where tobacco is dried. 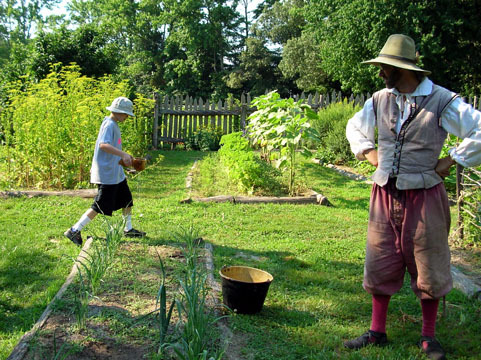 Visitors learn all about how it is grown, harvested and exported from an actor playing the original Godiah, who talks about his enormous number of children, his crops, his exports, the marriage he arranged for his 15-year-old daughter to a nice Catholic boy and various aspects of farming. 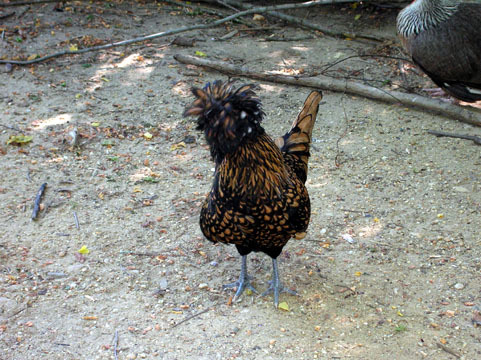 He also has very impressive chickens. There are cats, too, but apparently the chickens chase the kittens as they arrive and the cats learn very fast to leave them alone. This is how the herb garden is watered...using scooped-out dry gourds as watering cans. 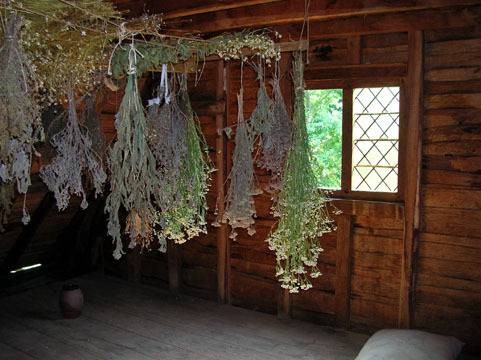 The upper level of the house is scented by drying herbs and has two bedrooms...one for him and his wife, the other for the children they keep popping out. 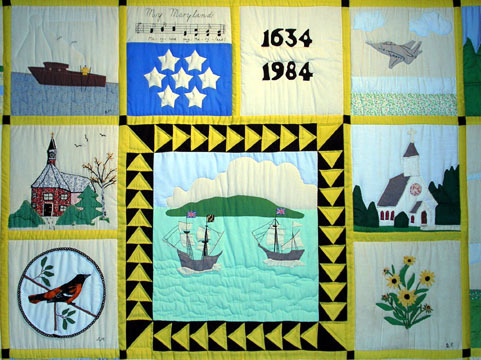 Part of the Maryland 350th Anniversary quilt in the visitor's center -- the state bird and flower, the first church and state house, and the Ark and the Dove which brought the Calvert colony from England to St. Mary's. 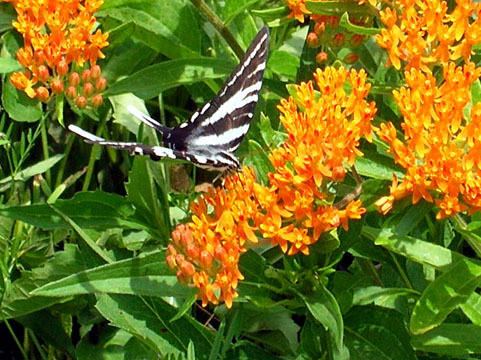 In the butterfly garden. 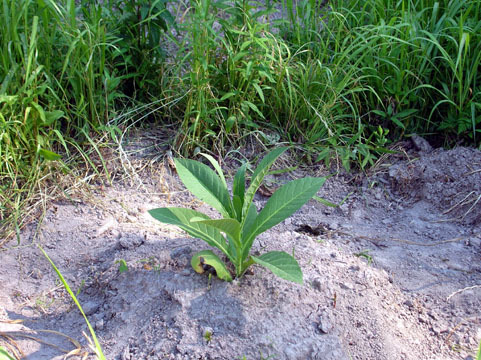 Most of the plants of St. Mary's are originals native to the state, though I am unsure about this butterfly bush.